Mon, Oct 15, 2018, 12:15 pm SL Time, ColomboPage News Desk, Sri Lanka. Oct 15, Colombo: The Special High Court today has ordered to postpone the case against former President's Chief of Staff Gamini Senarath and three others, who have been charged of misappropriating state funds, until October 23. The case was taken up before the three-member bench of High Court Justices Sampath Wijeratne, Sampath Abeykoon and Champa Janaki Rajaratna today. At the hearing, President's Counsels Gamini Marapana and Ali Sabry, appearing on behalf of the accused, informed the Court that they had not received many of the documents pertaining to the case and the prosecution continuing the case would be prejudicial to the defendants. Deputy Solicitor General Thusitha Mudalige responded that most of the documents to be given to the defense had already been given. The defense lawyers pointed out that it was important to mete out justice for the defendants as well as expediting the case. President's Counsels for the defense stated that a number of important documents have been requested from the relevant institutions for the purpose of submitting the defense statement on the case, but they have not yet been received. They requested the court to issue an order to provide the documents promptly. Accordingly, the three-member High Court bench ordered the defense lawyers to submit a list of the documents that had not been received in the next day and informed the court that notices will be issued to the relevant institutions through the Criminal Investigations Department to hand over the documents to the Defendants. The High Court judge panel ordered that the case be re-fixed on the 23rd. 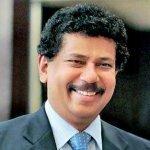 Gamini Senarath, and former Executive Director of Sri Lanka Insurance Corporation (SLIC) Piyadasa Kudabalage and Director General of the Samurdhi Development Department Neil Bandara Hapuhinna are accused of misusing government funds of 4 billion rupees. The three accused are founding directors of Sino Lanka Hotels & Spa Private Limited which launched the Hyatt Regency project in Hambantota at a cost of Rs. 312.2 million without cabinet approval.